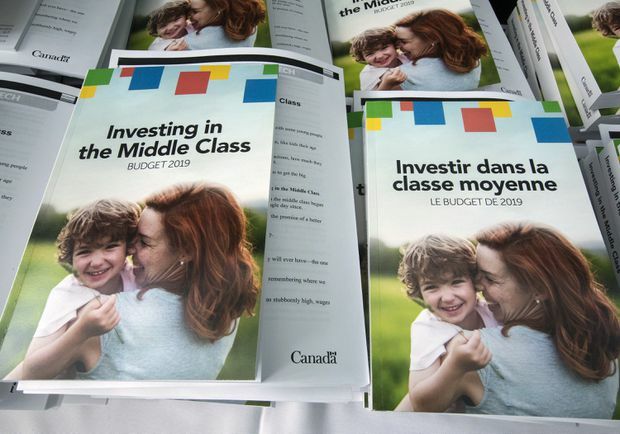 The federal government named its new budget “Investing in the Middle Class,” and in many ways, the pre-election plan lives up to that billing. But one of the showcase perks in the budget looks more like “soothing the middle class” – and far from being a sound investment, it fans the country’s most serious economic brush fire. The announced housing-affordability plan, which will have Crown agency Canada Mortgage and Housing Corp. provide up to 10-per-cent funding of mortgages for first-time buyers, is a can’t-lose political proposition for a government that hangs its hat on supporting the middle class (and expects that support to be returned at the ballot box). For most Canadians, owning a home is the surest evidence that you have attained true middle-classness. It’s especially compelling for the masses of suburban voters – not only those frustrated by the difficulties of buying a home, but their parents, too, who have become the country’s most powerful voting block and will almost certainly determine the outcome of next fall’s election. And the cost is virtually nothing – it’s essentially a system of interest-free loans from CMHC that are repaid when the homes are eventually resold. Frankly, it’s hard to see where the opposition could criticize the plan without coming off as coldly insensitive to hard-working millennials who are struggling to simply put a roof over their young families’ heads. Politically, it’s pretty bulletproof. But economically, it’s much harder to square. It may ultimately do little to improve housing affordability. And it leans against attempts to rein in the biggest and most conspicuous threat to the country’s economic stability: record-high household debt that is tilted heavily toward mortgages. Contrast this with some of the other key initiatives in this budget. The government announced billions for mid-career retraining, for nationwide access to high-speed internet, for municipal infrastructure, for incentives to keep seniors in the work force longer. These are all consistent with the economic strategy the government has pursued since it took office in 2015 – to enhance Canada’s productivity and grow its labour supply to better position the economy to weather the serious long-term challenges of an aging population. Its past major commitments to infrastructure, to immigration, to innovation – even to small-business tax reform – were all directed to these goals. In this sense, they are investments in Canada’s economic future. Indeed, Finance Minister Bill Morneau justified on Tuesday his government’s continued willingness to spend (program expenditures have risen 25 per cent since the Liberals took office) and run deficits (nearly $20-billion targeted for 2019-2020) by saying that “the most important [election] promise we made to Canadians is that we would invest in their future.” And, more often than not, his government has. But the housing-affordability plan is only an investment in votes. It gives middle-class suburban voters what they most crave, scratches their biggest itch – regardless of whether it’s good for them or for the health of the broader economy on which they ultimately depend. Surely, the best investment a government can make is in providing the most healthy and stable economy it can. Keeping Canada’s household credit ills in check should be at the top of the priority list. Doubling down on the economy’s biggest risk is a poor investment, at any price.